Different kinds of gasket materials can be choice according to different condition requests. 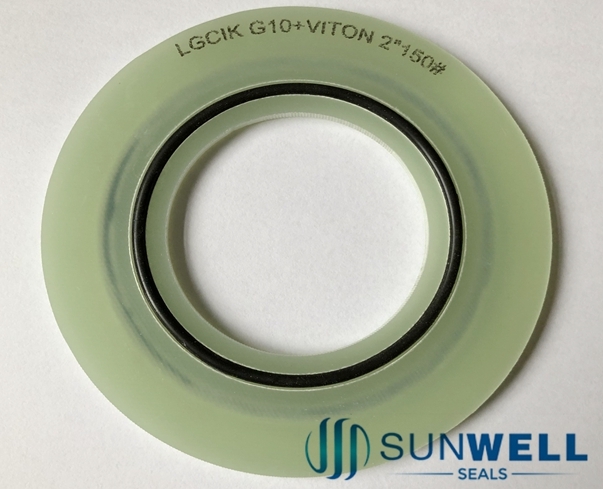 SUNWELL SEALS LGCIK Insulation Gaskets has the excellent sealing and insulating design for all types flanges. The sealing elements encapsulated in the special designed groove, avoid the sealing element broken when the bolts torque are not equal. The insulation gasket material such like Nitrile, EPDM, VITON and Teflon/PTFE can be used as sealing elements, this increase the options for different working conditions. 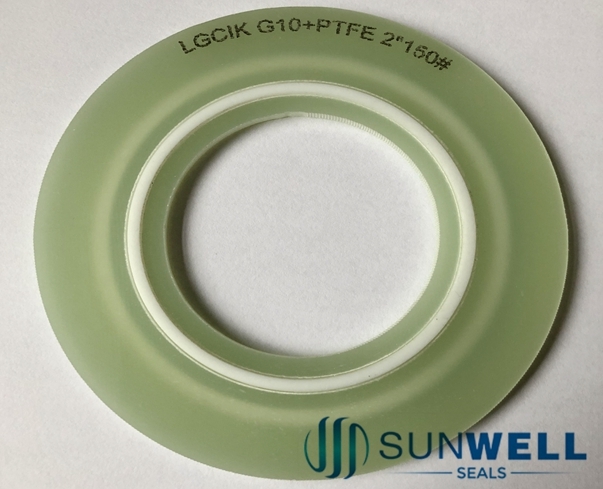 The SUNWELL SEALS LGCIK is available in both full-face (Type E) and ring style (Type F) configurations. Depending upon the sealing element selected, the CLG is rated for most all hydrocarbon and water service applications. Both retainer and sealing element's temperature limit should be considered together while choose the material. Refer to chart for sealing gasket temperature range and material compatibilities. 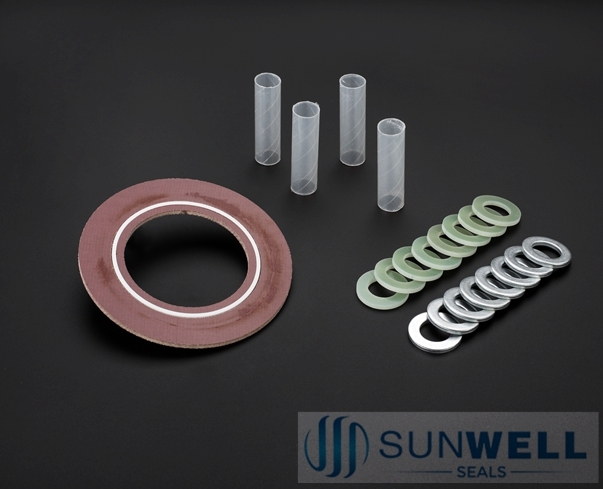 More details of the flange isolating kits, kindly contact with SUNWELL SEALS team.